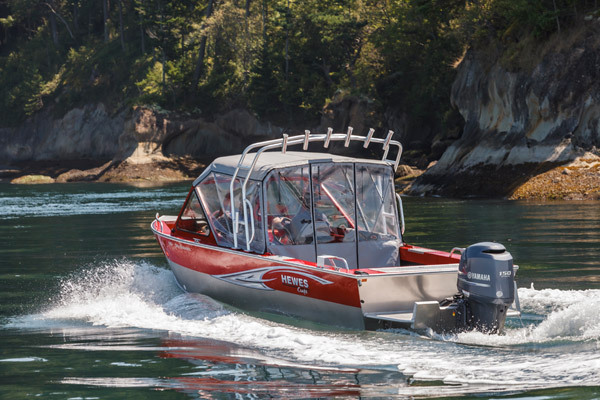 Already a household name, Our tough and agile Sea Runner is upping the ante for mid-sized boats everywhere. We’ve widened the hull to help get you out of the water faster, improve planing, and decrease side-to-side tipping. Better yet, we’ve updated the interior to give you more elbow room for your friends, more storage area for your gear, and more deck space for your catch. But don’t take our word for it. Put this model on the water and see for yourself why it’s a boat to brag about for years. 21' Sea Runner ST ET Yamaha F150 4-Stroke Spec. EZ Loader Trailer Spec. Beam 96" 2.8L Weight 1300 lbs.